Apple's expansion on 39 acres for their Texas operations complex is one million square feet and houses hardware engineers, support staff and operations. This first phase was completed in 2014. A second phase is scheduled to be completed in 2016. The buildings are supplied with 100 percent renewable energy. All-Lite supplied sunshades in several buildings and two garages. 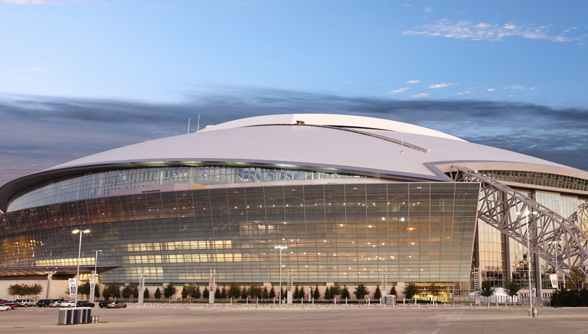 This beautiful stadium in Arlington, Texas is home to the Dallas Cowboys. The domed stadium features a retractable roof. All-Lite supplied ECD-545 wind driven rain louvers for 14,600 square feet and EFJ-437 non-drainable louvers for 1,360 square feet. 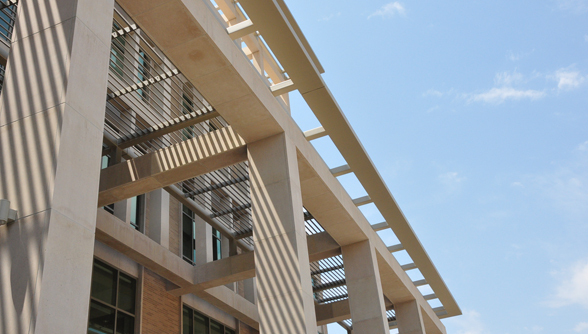 Louvers were installed by NOW Specialties, Inc. Construction was finished on May 27, 2009. This 74,859 square foot building includes a 2,500 seat arena and a 10,000 square foot gym. Also features classrooms, offices and conference rooms. This project received LEED Gold certification. 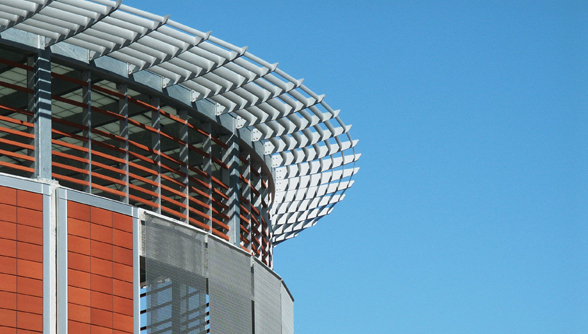 All-Lite supplied ECD-635 horizontal blade wind driven rain louvers. The Gerald Ford Parking Garage project included a four level, 4,700 space parking garage, garage-to-terminal pedestrian sky bridges, roadway canopy, escalator and elevator cores as well as other infrastructure improvements. The project also included increasing the public parking capacity to 9,875 spaces. 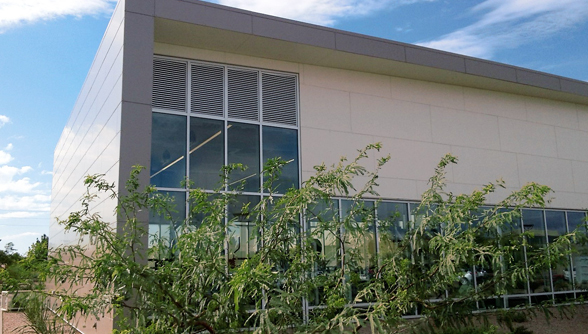 All-Lite provided custom sunshades for the project. 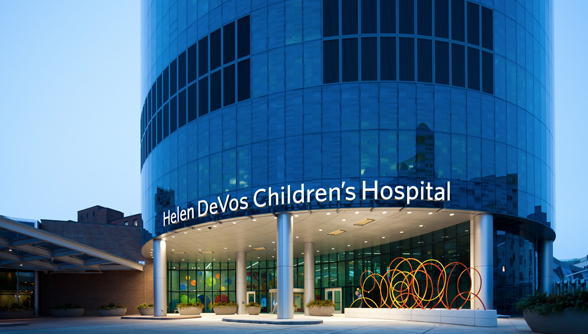 This state-of-the-art hospital facility opened in January 2011 with 440,000 square feet to accommodate 206 beds, pediatric emergencies and radiology needs. 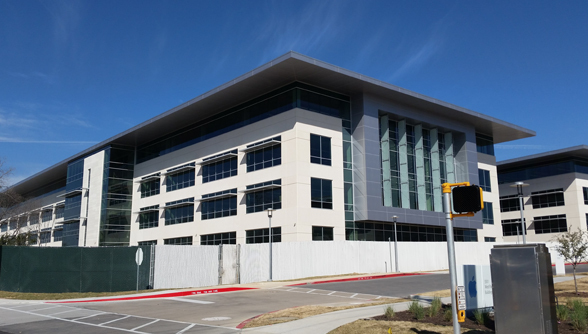 All-Lite worked directly with the curtain wall company to develop a custom frame that would allow our louvers to be integrated into the curtain wall. The louvers were shipped to the curtain wall manufacturer where they were mounted and shipped to the jobsite as a complete unitized product. 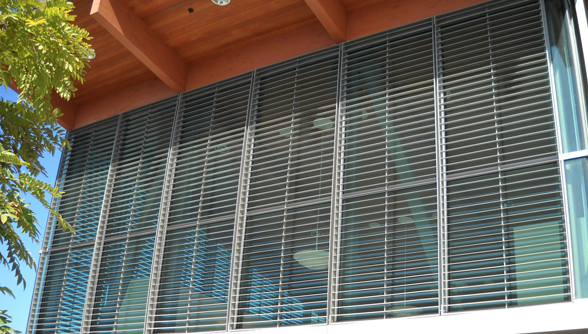 All-Lite supplied ECV-645 louvers. All-Lite Representative: Hadley Associates, Inc.
Chicago's new 300,000 square foot multi-purpose event center will seat 10,000 and feature 300 club seats as well as 22 regular suites. It will serve as a venue for sporting events, concerts, meetings or conventions. Other features include a roof that swells upward over the arena seating. 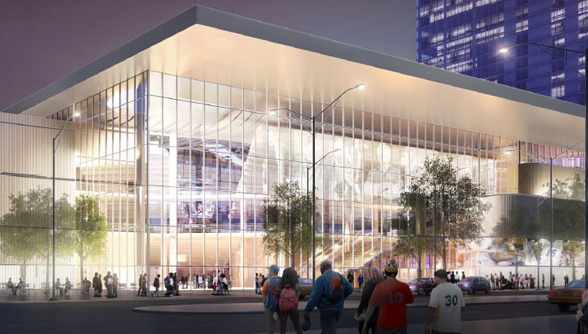 It will be the new home court for the DePaul University basketball teams. The event center is designed to achieve LEED certification. All-Lite supplied EDD-445 louvers. 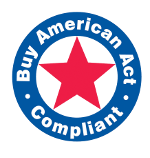 General Contractor: Integrity Sheet Metal, Inc. The renovated senior center owned by the City of Newport Beach is 36,500 square feet and includes an event center, classrooms, fitness center and kitchen. The center was built to meet the needs of seniors and their families that include a support services such as counseling and group activities. The project completed renovations in 2010. All-Lite supplied EFJ-445 louvers and custom grilles. Opened in 2011, the new Technology and Economic Development Building has 90 classrooms and 212,000 square feet of space. The building houses laboratories for biomedical optics, cardiovascular biomechanics and biomaterials. All-Lite supplied EFD-645 & HJ-645 louvers and custom sunshades. General Contractor: HDR Engineering, Inc. 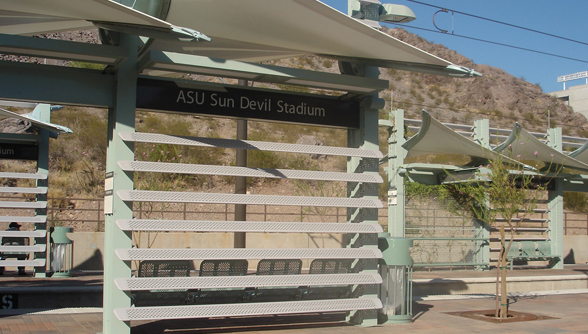 Opened in 2008, the light rail transit system provides alternative public transportation to the Great Phoenix Metro area. The rail encompasses a 20-mile area which is expected to grow by the year 2020. All-Lite provided custom sunshades.